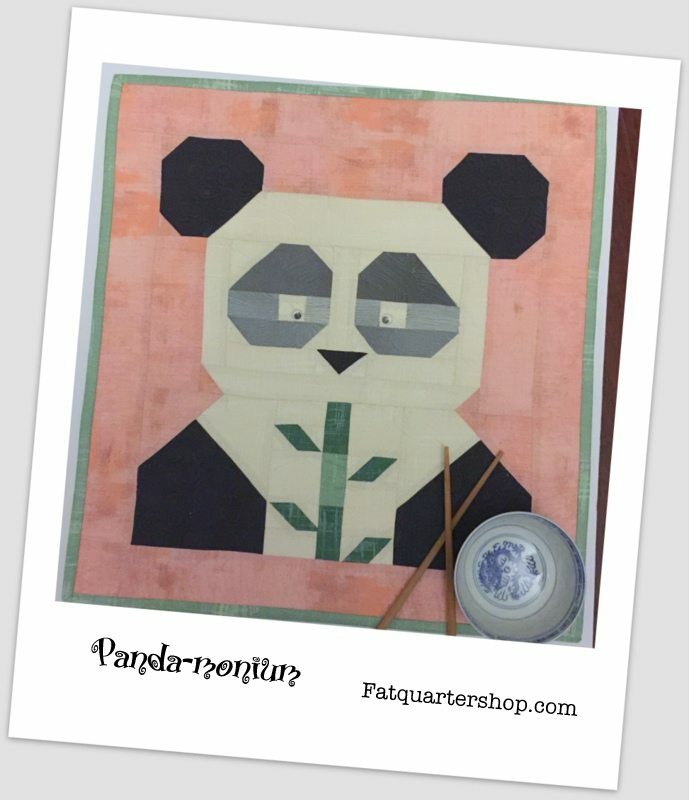 The Fat Quarter Shop has this really cute Panda pattern called Panda-Moniam. A very easy block to sew together and even easier with Kimberly demonstrating how to make the block in the You tube video . 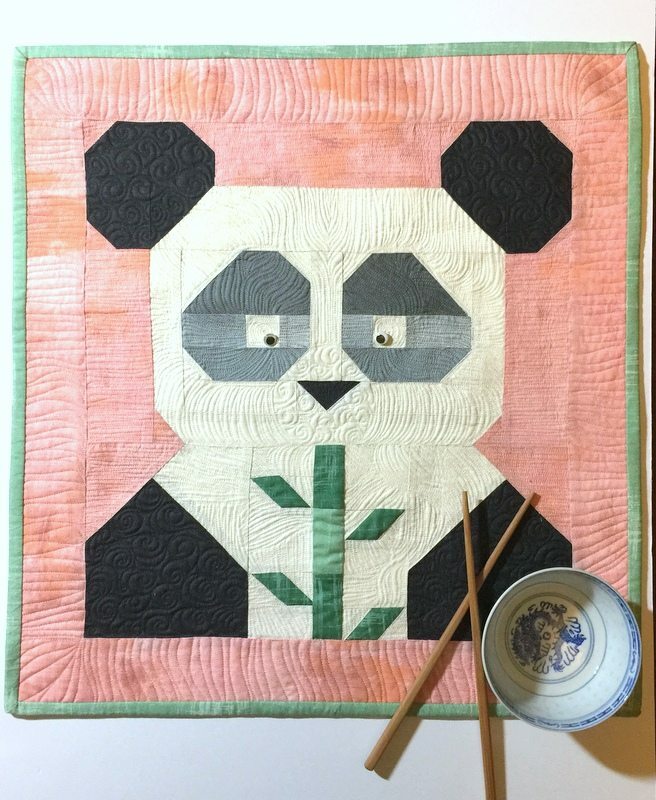 My Panda is made from assorted textured solids from Moda, Michael Miller and Andover fabrics and pieced and quilted with Aurifil 50wt cotton threads, #2410, #2026 #2830 and #2620. Finishing at 19 1/2″ x 20 1/2″ it makes a great mini quilt or cushion cover. You can find all the FQS Free Patterns and instructional videos here. Check out the Jolly Jabber for all other fun events and projects. 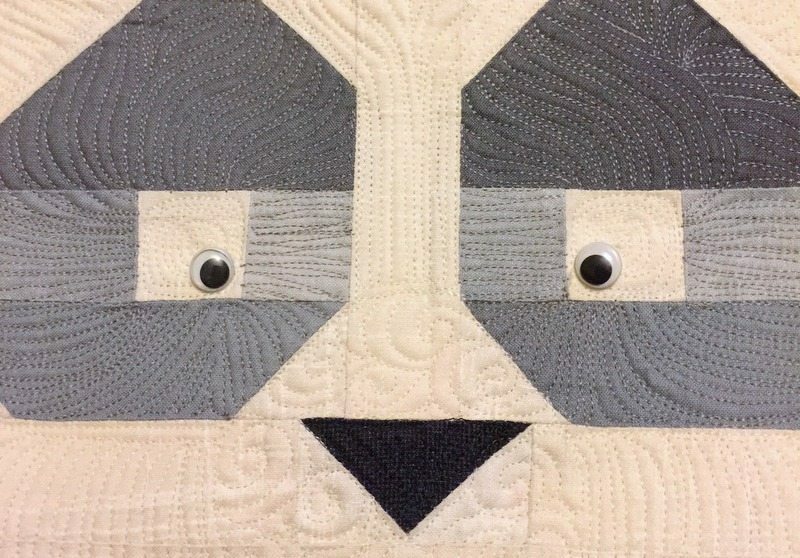 Your panda is so cute with it’s google eyes! And I love the fabrics you’ve choose. Thank you. The eyes follow you around the room. I LOVE your panda!!! And the new logo! Thanks Pat. You have to make one. Frances N is working on the logo. Frances is brilliant. Great block Jane – quilting is amazing. Love the new look blog! Angie, it is a work in progress. Thank you for the Panda love. I really adore your pandas. Jane this is soooooooo cute??? I love this!!!! Thank you Frangelica. You have to make one too.